Piedmont glaciers occur when steep valley glaciers flow onto relatively flat plains, where they spread out into fan or bulb shapes (lobes). 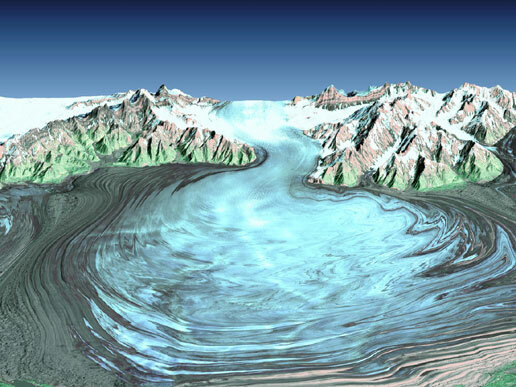 The Malaspina Glacier in Alaska is one of the most famous examples of this type of glacier and, at 40 miles wide, it is the largest piedmont glacier in the world. Its origins are in the Seward Ice Field, and once it spills over the mountains it then covers over 5,000 square kilometres of the coastal plain. To find out more about Piedmont Glaciers, there are many books and geography textbooks that go into detail on their formation and the role they play within the local ecology. 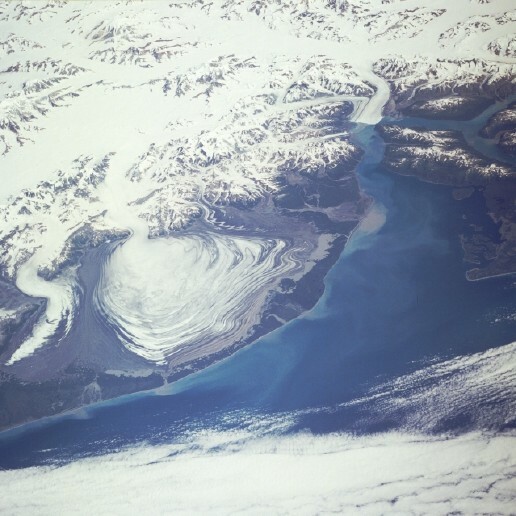 The Malaspina Glacier (40 miles wide) in southeastern Alaska is a good example of a piedmont glacier, although it is actually a compound glacier, formed by the merger of several valley glaciers. This is a photograph of a piedmont glacier ( Malaspina Glacier) showing how it spreads out after emerging through the mountain barrier. How many other glacier types can you see in the image?